For children ages 1 to 8 years. Under 1 year free. Please come join us for our Fun Fabulous and Outrageous Easter Celebration! Easter Eggstravaganza...featuring The Purple Pirate! Cost: $6.00 per child. Hippity Hoppity down to the Roundhouse for an Easter Egg Hunt. The event will include an egg hunt with arts and crafts activities, a candy bag to take home and a visit from the Easter Bunny. No need to bring a basket, this will be part of our arts and crafts activities. Parent’s supervision is required for the 1-3yrs session. Pre-registration required, drop-ins permitted ONLY if space is available. Hop on by for a fun-filled day including a ride on the miniature train, egg hunts, crafts and a visit from the Easter Bunny. The train runs rain or shine and is fully covered, protecting everyone onboard from spring showers. Be sure to bring your own Easter basket for the egg hunt! After the train ride, purchase carnival strip tickets so your kids can enjoy fun activities. Hippity Hop, Hippity Hop, bouncy your way through the egg hunt maze, games and all the other fun and exciting stations. EGGstra fun is in store at our annual Easter event which includes a continental style brunch, games, crafts, family entertainment and an Easter Egg Hunt. Space is limited and registration must be done in advance. Children must be accompanied by an adult. This event is suited for children 2-8 years. Cost: $5 per child + adult. HOP on down to our annual Easter Event at Sunset. Activities will include a bouncy castle, arts and crafts, face painting, cookie decorating and an Easter egg hunt. Register now as this event is surely going to sell out. Join your neighbours and friends from the Kensington Community for Breakfast with Bunny. There will be a pancake breakfast, arts and crafts, entertainment and a visit from the Easter Bunny. Please register early for this event. Hop on over to JBCC for this popular annual Easter event! 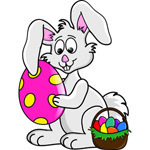 Easter egg hunt will start promptly at 9:30am, bring your baskets and get ready for fun! Crafts, cookie decorating, games, and loads of gross motor play! Even meet the Easter Bunny! Tons of photo ops! This event is best suited for kids aged 2-6yrs. Hop to see you there! Pre-registration is required, register online or by calling 604-983-6575. Easter activities include face painting and balloon art for a nominal fee, an Easter-themed craft, and a special visit from the Easter Bunny. The Bunny will be at the Market, and available for pictures, from 11am-12pm. Lynn Valley Village will be hosting an Easter Event that will feature children’s activities, and an Easter Treasure Hunt. Come and enjoy this free family fun day together. This year's Easter festivities will feature delicious brunch classics for all ages and an exciting Easter Egg hunt led by the Easter Bunny himself. Cost: Adults $50, Child (5 - 12 years) $18, Tots (2-4 years) $10. Reservations limited. Britanniasaurus Rex is back again! Join us this Easter for our annual Dino Egg Hunt. B. Rex will be wandering around the Museum site from 11 to 12 and then 1 to 2, hiding gem-filled dinosaur eggs. Find the eggs and then bring them to the mineral table to identify your treasures. We'll also have a special table where you can learn how, where and under what conditions minerals form! Easter on Parade, the beloved Richmond tradition that showcases attendees “parading” up and down scenic Monument Avenue. Location: on the blocks between Allen and Davis Avenues, Richmond, BC.